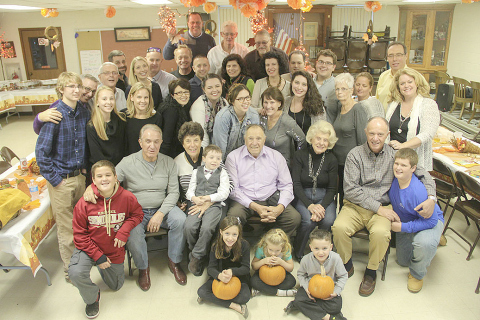 A couple of years ago, my entire family gathered in NJ for a Thanksgiving family reunion. There were between 45 to 50 people expected to attend, so we ended up hosting the event at the town’s fire hall. The creative person inside me was operating in panic-attack mode all summer as I wrestled with the idea of spending a warm and cozy holiday inside a cold, white, sterile building with 8′ tables and metal chairs. You get the picture, right? I was stressing-out as everyone planned on what delicious food item they would bring to the event. I DON’T COOK!! I do, however, love to decorate. 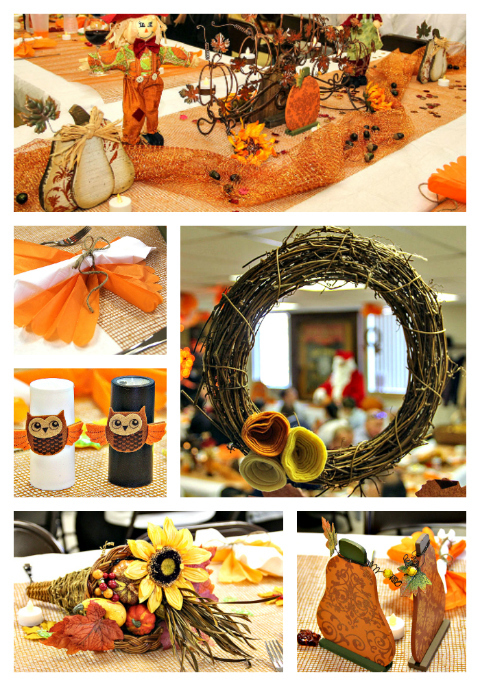 It felt so liberating when I told myself that the decorations were just as important as the turkey and the pumpkin pie. By creating the right ambiance, I was contributing an important element to the day. I happened upon the decorations by accident, but by so-doing, I learned a very important lesson that I want to share with all of you. 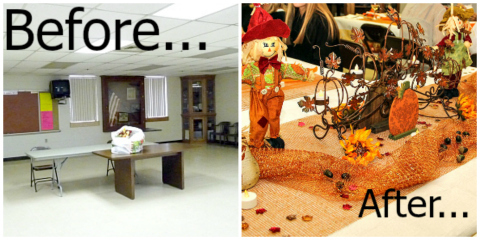 Here goes: DO NOT WAIT UNTIL THANKSGIVING TO PURCHASE YOUR THANKSGIVING DECORATIONS. THERE WON’T BE ANYTHING AVAILABLE. The time to buy the decorations is the day after Halloween. We all know that Thanksgiving gets overlooked because immediately after Halloween (and even before) the shelves are wiped clean of anything resembling fall and are filled to the brim with Christmas stuff. 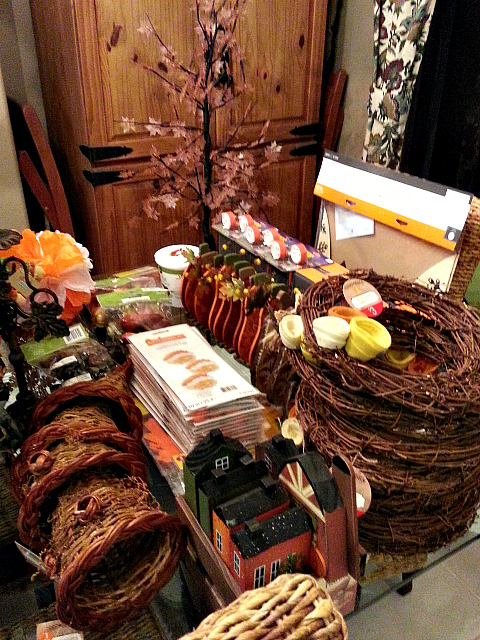 So many Halloween items can double as Thanksgiving decorations. See the big tree? It was a Halloween tree with orange lighted leaves that was originally $60, but I paid only $18. The cornucopia, scarecrows and wreaths were .90 cents each at Target. The wooden village houses were .99 cents each. The wooden pumpkins were $1.29 each. 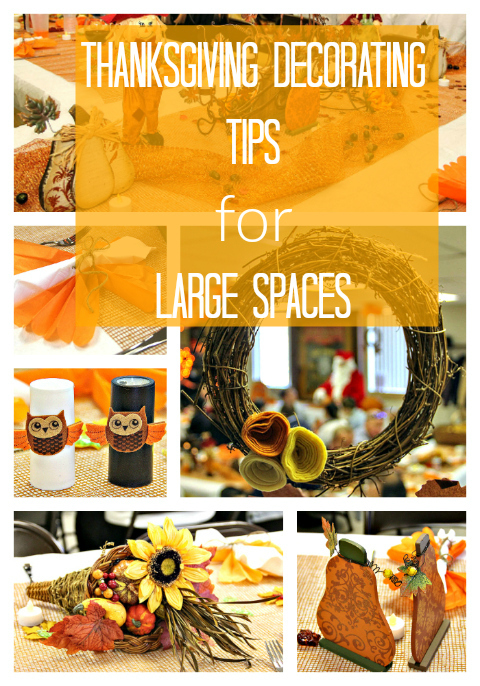 The mesh table coverings were marked down to $1.50 per roll at Hobby Lobby. They were actually the only things that I purchased Thanksgiving week…because that is all that was left. I intended to purchase gold chargers, but I couldn’t justify spending $1 per charger when the mesh and the napkins achieved the same effect of having a personalized place setting for each person. I also made sure to have a craft table for the kids, complete with a bean-bag toss that I bought at Target for $1.50. See that metal thing up there above the picture of the sunflower that looks like a metal bees’ nest with orange lights? It is a curiosity cage that I found at Pottery Barn for $3.99. I bought three of them, filled them with twinkling orange Halloween lights, and hung them from the ceiling. 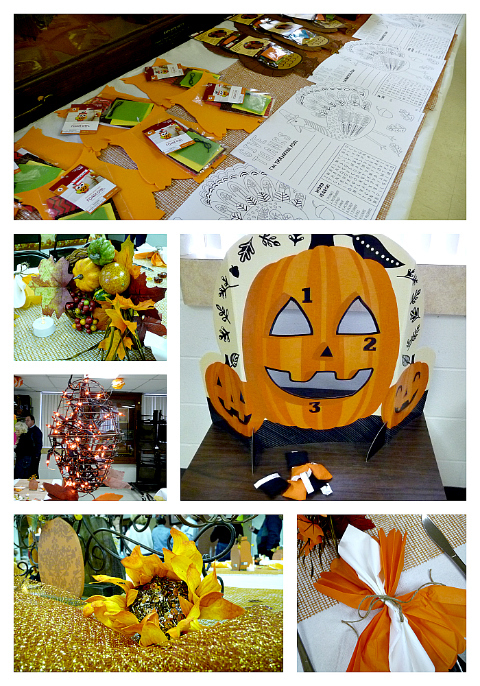 It was a successful event, from the food to the decorations to the family time. We are now on the fifth generation of my grandparent’s progeny. Four generations were represented at the party. I highly recommend hiring a photographer to help out with memorializing your event. That way everyone can relax and leave the picture-taking to someone else. All of the family photos below were taken by Don Macavoy. 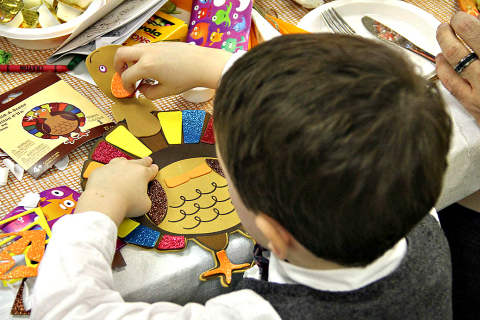 Just get the word out and you’ll be able to find someone who is willing to work on Thanksgiving. We missed those who weren’t able to attend! But on the bright side, now that all of the decorations have been purchased, and more importantly, are safely stored away in NJ, it will be really easy to repeat this for future Thanksgivings. Anyone up for that? Anyone?